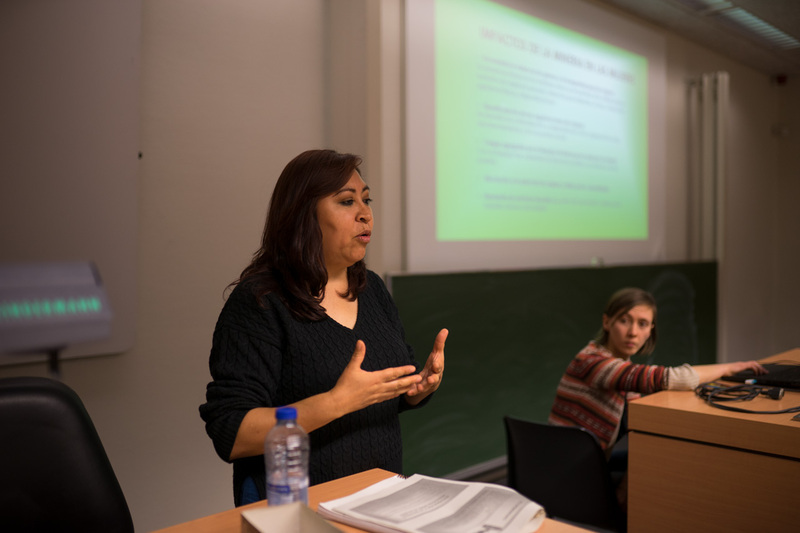 Gloria Chicaiza Aguilar is the head of “Acción Ecológica”, an Ecuadorian NGO that strives for social and ecological justice according to the principles of ‘Buen Vivir’ and ecologism. For more than 20 years, the organisation has opposed to private interests of the extractive industry and provides a voice to the affected communities. Even though Ecuador has been extracting oil for decennia, larger scale mining is a relatively new phenomenon in the region. This is mainly due to the ideas of president Rafael Correa, who stayed in office from 2007 until 2017. Under his policy, the Constitution of 2008 was created, which was perceived as very progressive. This was mainly because it acknowledged Ecuador as a plurinational state and promised to develop according to the principles of ‘Buen Vivir’. These principles describe a way of doing things that is community-centred, ecologically-balanced and culturally-sensitive. In addition to this, the country has given rights to nature, which makes them the first one to do so in the whole world. Ironically, it is the same constitutional text that describes the extractive industry as a strategic and economic sector, a sector that would be controlled exclusively by the government. With resource nationalism, the government of Correa hoped to increase influence on the infamous oil-exporting industry, and wanted to stimulate the underdeveloped mining sector. Correa’s wish to provide a boost to the large-scale mining was very clear. In 2009 a policy was voted in that would give a legal framework for the development of the mining sector. This law lead to a wave of fierce protests from anti-mining groups. They feared that the other principles listed in the constitution would not see the light of day, such as buen vivir, rights of indigenous people, protection of nature and the right for prior consent. Even though the protest grew to larger sizes, the government signed a contract in 2012 with a Chinese mining company, EcuaCorriente S.A.. They were to extract copper, gold and silver from the region. The project “Mirador” is one of the main projects in the pro-mining campaign. The massive coppermine is located in the southern-Ecuadorian province Zamora Chinchipe, in the district Tundayme (Kanton El Pangui). El Pangui is part of the Cordillera del Condor, a mountain range with an extremely diverse fauna and flora containing more than 5 million tons of copper, 700 tons of silver and 90 tons of gold. The mine is supposed to open in 2018 and should produce 60 000 tons of copper every day. Not only did the contract determine the future profit of EcuaCorriente and the projected income for the Ecuadorian profit, but it also determined the lives of the Shuar people and the mestizo farmers in the region. Their fertile lands would be transformed into a gigantic coppermine, nature will have to part for industrial infrastructure and roads. Waste pools will form a constant threat to public health and local rivers, only amplified with the possibility of quakes. The Ecuadorian government facilitates the process by handing out favourable environmental impact judgements and giving the right licenses to EcuaCorriente. In addition, the army, together with the police, has been employed to protect the project against the protests of the local people. This was clearly visible in 2015, when a group of guards from EcuaCorriente drove 32 people out of their houses with assistance of Ecuadorian officials. At dawn these families were ordered to pack and leave, after which the Chinese organisation demolished their houses with bulldozers. Since the start of the mining project in the Cordillera del Cóndor in the nineties, the whole process has been characterised by a general lack of information, of participation and of consultation concerning the local inhabitants. Not just the lack of information proved to be a problem, but also blatant misinformation was spread about the purpose and consequences of the project. EcuaCorriente told the locals deceitfully that their land would be used for livestock, which is clearly far from the truth. The inhabitants don’t tolerate the mining activities and resist them when they can, which entails big consequences for the activists. One defender of local rights named José Tendetza was able to experience the retaliation of EcuaCorriente first hand. Because of his protests and resistance he’s been targeted with threats to him and his family. His crops have been burned and his house torched to the ground, all because of his explicit opinion on mining and the defense of land. Eventually he disappeared when he was going to a meeting regarding the problems of mining. Five days later his body was found on the banks of the river Zamora on the level of bridge Chuchumbletza, a part of the region of influence of the Mirador project. Even though the power of the mining sector increases constantly, the locals maintain a strong resistance against the activities. 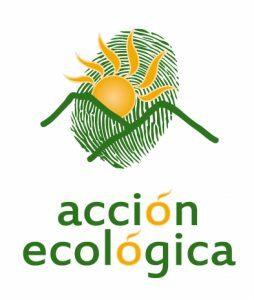 They are assisted by national NGOs such as Acción Ecológica, who provide technical, political and legal support and spread the story of the Cordillera del Cóndor.